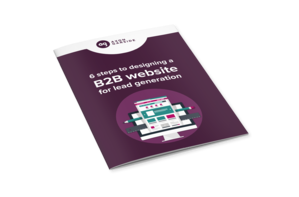 Your new B2B website will look fantastic and elegantly move your brand online. Of course. But we’ll also create a website that not only looks the business but is ready for business. Ready to be at the centre of an inbound marketing strategy to attract more relevant potential buyers and turn them into customers. Our aim is to design and write website pages that are the very best match for your buyers' information needs -anywhere on the web. That's how your pages will get the most relevant visitors. Clearly posted calls to action that make it is just as easy for them to take the next step to find what they are looking for are the key to converting visitors to leads. That's how you’ll start to generate the sales opoortunities that you need to grow your business. People don’t experience content separately from design, user experience or code. They experience and respond to all three together. That’s why we’ve done away with siloed teams of designers, user-experience people, writers and developers working sequentially on their piece of the action. Our team works together to create user journeys, research keywords and develop content and simultaneously build up the design to fit like a glove around content and user journeys, refining and optimising until we - and you - are ready to publish. Throughout the whole process, our developer is on hand to advise how best to marry content, design and code for an optimal user experience and maximum visitor to lead conversion. Looking to re-design your website? Too often website designs are based upon intuition, developing a whole site in one go and hoping for the best. No wonder 50% of B2B companies re-develop their sites every 3 years. We are pioneers in growth-driven design - an approach which bases website design and content on facts not guesses. We start with a core site based on careful research to identify not only what your business does really well, that is really important to your clients and that you do better than competitors but the information needs of your target customer personas. Your website should match the two. Then we constantly AB test every element of your site, refining and growing the content based on data to deliver the best results, highest possible number and quality of leads to give you the best return on your investment. This method of delivery is available as a standalone, growth-driven-design website retainer or as a part of our full inbound service. 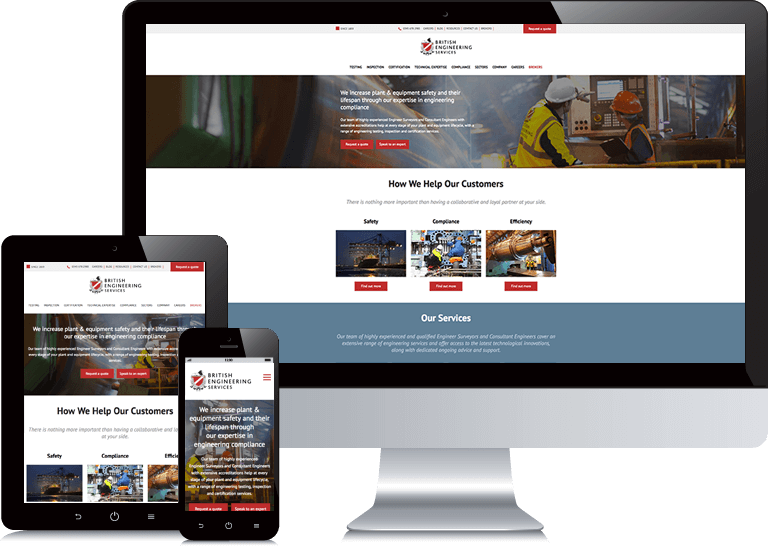 Built entirely on the HubSpot CMS platform (COS), this responsive website replaced Teledata's previous desktop-only site. Our extensive experience with HubSpot COS meant we could implement third-party solutions to ensure that the user experience on the homepage was optimised and tailored to deliver a large and varied range of messages about the services and products Teledata offered, regardless of whether the user was on a mobile or desktop device. The seamless integration of the HubSpot forms for lead generation, coupled with the varied library of custom modules we created, has resulted in a high converting website that’s easy to adjust and extend through a growth driven design process. We created a clean, crisp, modern website design with an immensely flexible series of custom modules that the Tern marketing team found incredibly straightforward to use when building pages. The use of white space makes the content more legible while enabling the user to focus on the key elements surrounding the text. Also, HubSpot showed it’s flexibility yet again, allowing us to easily incorporate an external feed into the website, which was a legal requirement for the company. This which removed the painful and time-consuming system they had previously, where they had to manually publish each regulatory news item. 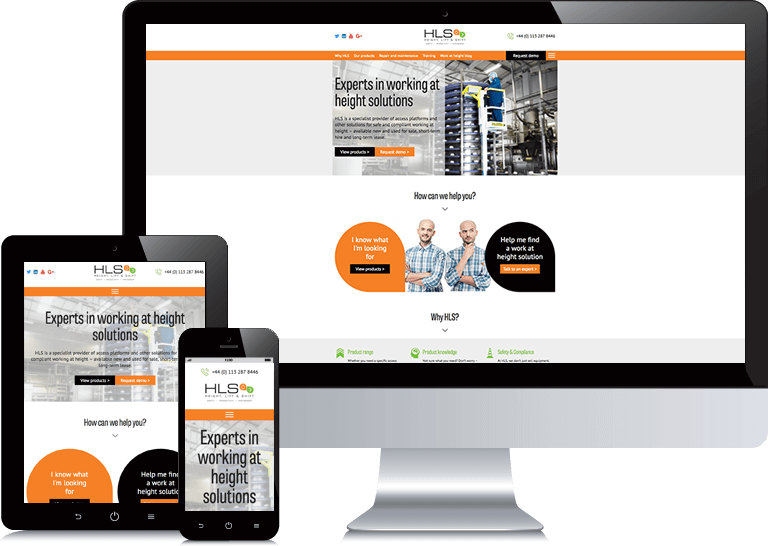 Working closely with HLS, we helped them raise their products and services to a whole new level with a brand new, SEO-friendly website. Our in-depth keyword and buyer persona strategy allowed us to map out the website in a way that not only helped it to appear in search engine results but improved the user experience. Bright colours and bold fonts were used to illuminate the website’s calls to action, link text and buttons as a way to boost engagement levels and click-through rates. Built in HubSpot, we created a number of easy-to-use templates and modules that enabled HLS' non-technical team to create and upload the website pages themselves, without any need for extra training. Created in WordPress, this site takes advantage of the flexibility of code from HubSpot by allowing the inclusion of calls to action and form code on the pages to track all the users and conversions from a single dashboard. This blend of complexity from custom functionality in WordPress works seamlessly with the clear and concise reporting from the HubSpot portal. The blog and landing pages are exclusively in HubSpot and mimic the main site exactly, so the end user doesn’t have their browsing experience interrupted during the switch to the subdomains. Security concerns around using WordPress are negated with protection from security plugins and Incapsula, providing CDN, Website Security, DDoS Protection and Load Balancing. 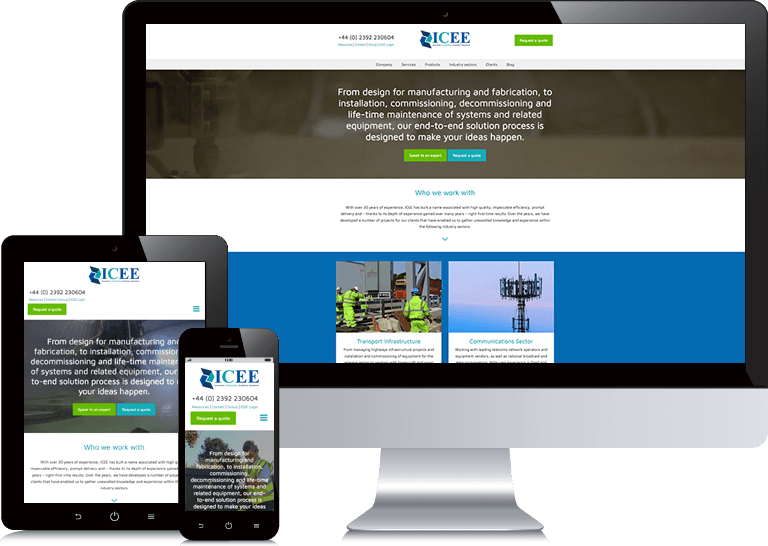 The ICEE website combines bold colour and clear design to improve customer conversion rates with strategically-placed calls to action. Most notably, the homepage features an engaging video background in the hero section, which showcases the diverse range of services ICEE has to offer and the use of line art icons visually explains their complex processes in a clear way. Built in WordPress, we went to great lengths to create custom shortcode systems which allow for the super simple replication of content across the pages on the site. The forms and calls to action are all powered by the HubSpot platform making tracking conversions across the site a doddle. 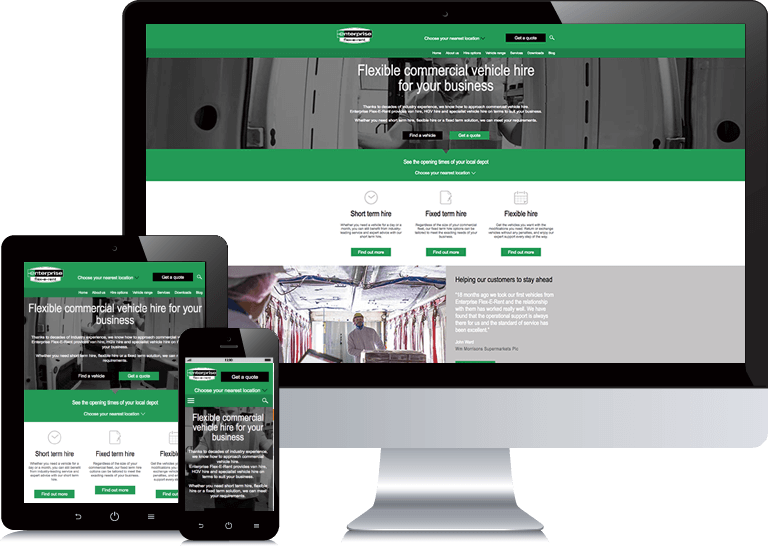 A site absolutely packed to the rafters with content, from the company’s long and illustrious history to guides and resources straight out of the mouths of their top experts, to help their visitors educate themselves about the services they may require from British Engineering Services. Over time we’ve created a range of downloadable content and innovative tools that allowed users to work out compliance issues and calculate quotes live in the browser, which not only helped result in a high volume of visitor traffic, but an impressive customer conversion rate too. All this is seamlessly tied into HubSpot to ensure that the team can follow-up with the user to discuss their individual requirements, which time and time again converts into business. Keen to dip their toes into the world of inbound marketing, but without the need for the reporting and detail HubSpot brings, Minton Quinag tasked us to come up with a site that would facilitate landing pages to allow for gated content, as well as a blogging platform for thought leadership purposes. We deployed a custom theme in WordPress using everything we’ve learned from developing in the HubSpot CMS with the idea that eventually the site would work alongside a HubSpot portal kept in mind throughout the development to give us a head start when that came about. The website design reflects a fun yet professional feel for Amusement Technical. A perfect blend of fun and professional-looking design that just works. The website was built using WordPress with HubSpot supporting the forms, landing pages and blogs. The two work together in harmony to generate leads from the users who found the pages via the relevant organic search results that the responsive setup now affords the site to have. Custom development includes the map on the customers page which shows the diversity of size and location of Amusement Technical’s client base in a more interesting and visual way than a standard listing. 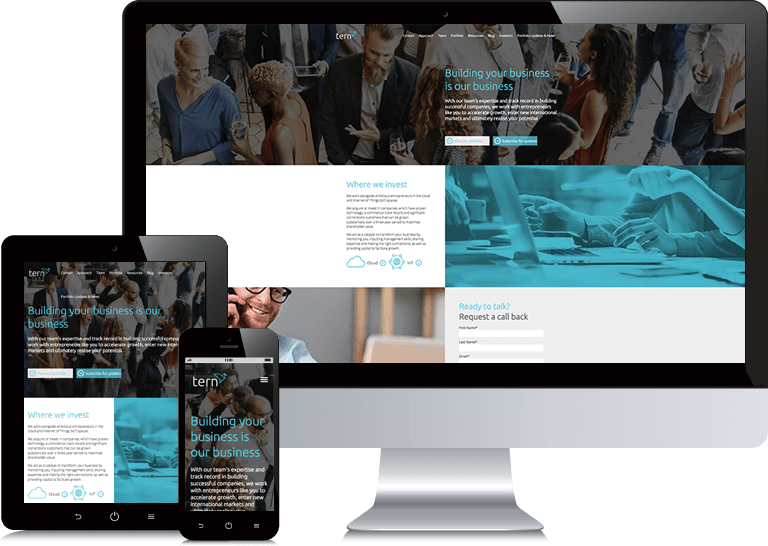 If you’re looking to showcase a new and innovative product, it stands to reason you need a new and innovative website platform to do it from! 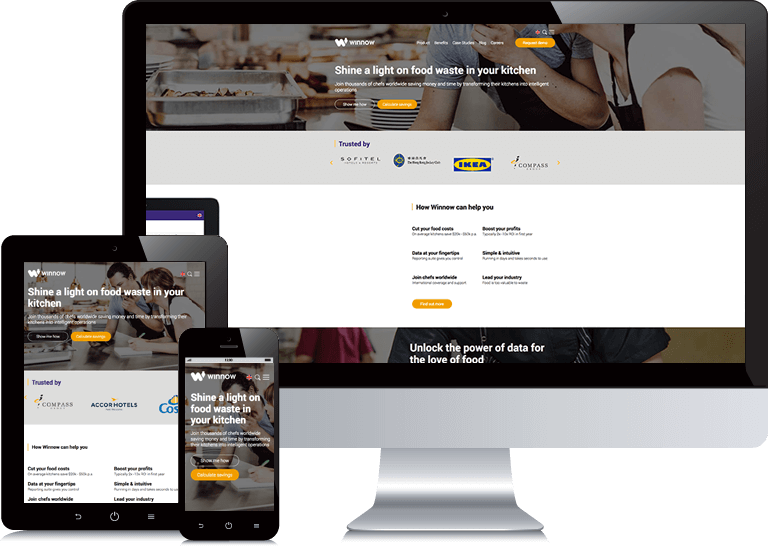 Winnow selected HubSpot to do just that, and entrusted us to design and build their new website. As well as giving them a fresh, clean and user-friendly website, we also created a new savings calculator for the site. We took a boring, lengthy form and broke it down into smaller bite-sized chunks to rocket the improvement of the conversion rate, with greater feedback on each stage, nudging people through each step of the journey. Submission follow-ups and automated custom reports, which clearly outlined how much they could save with the Winnow system, helped shorten the sales cycle timeframe. 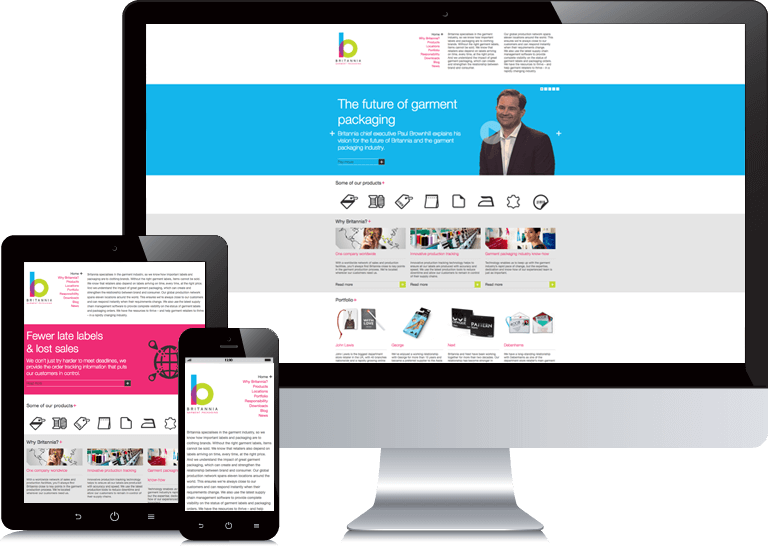 Britannia Garment Packaging required a slick, modern and responsive website to reflect not only the quality of their processes and services, but also to showcase the high-end clients they work for and the products they supply. 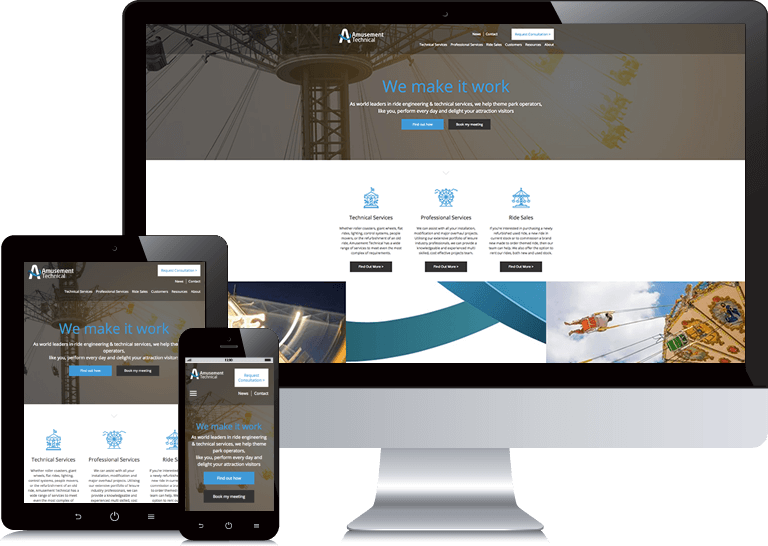 We developed a new marketing strategy, which included a complete rebrand, supported by the launch of their new website which we designed and built from the ground up. We helped optimise every aspect of this new strategy with supporting blogs and PPC. 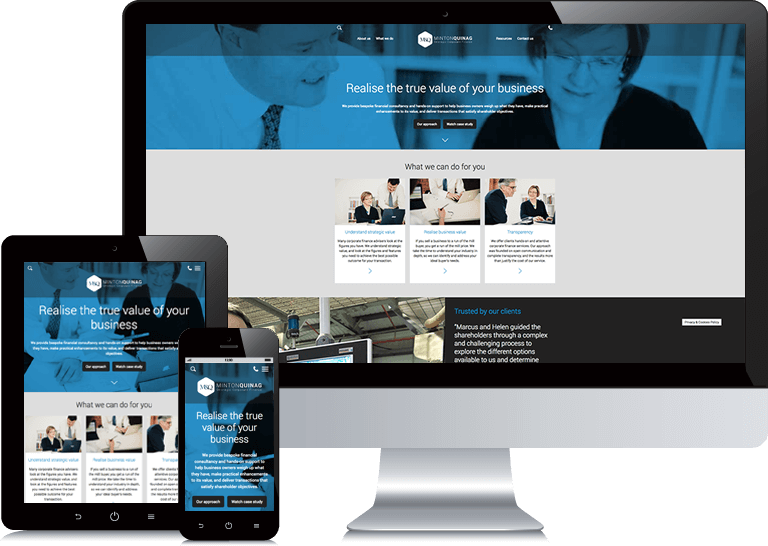 The site was created in WordPress to allow detailed customisation of the navigation system, with the blog and landing pages created in HubSpot to nurture all website visits from leads to customers.